Spring Boot makes it easy to create both powerful and production-grade applications. It also provides production-ready features such as metrics, monitoring, and even externalized configuration. These applications can be efficiently deployed on cloud platforms such as AWS and their deployment assessed with metrics and monitoring. In this course, you will learn to create Spring Boot application with REST endpoint support, configure applications using the AWS management console, and how to create AWS EC2 instances. You'll learn to set up your EC2 instances manually as well as automatically and deploy your application on these instances. You will learn about setting up VPC and performing the configuration to get your application available in Production and also test it successfully. 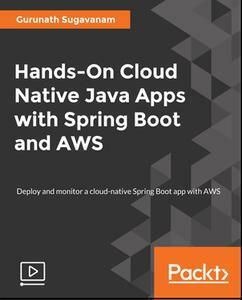 By the end of the video, you will be equipped with the knowledge to build scalable and cost-efficient Spring applications and deploy them on the AWS Cloud platform.